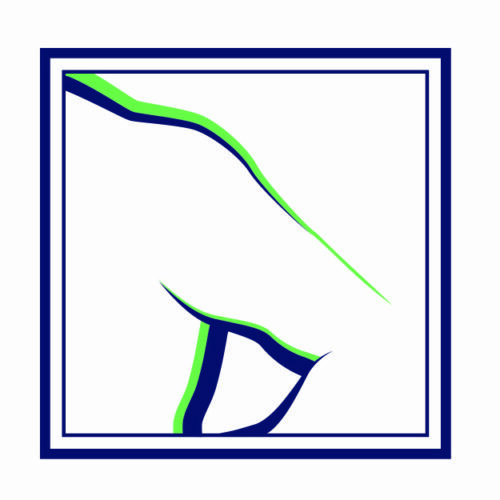 The management of rotator cuff tearing is individualized to each patient base on the patient’s current symptoms and future goals. Studies have shown that many patients can achieve satisfactory results and improved shoulder function without surgery even in cases in which the rotator cuff has a full thickness tear. 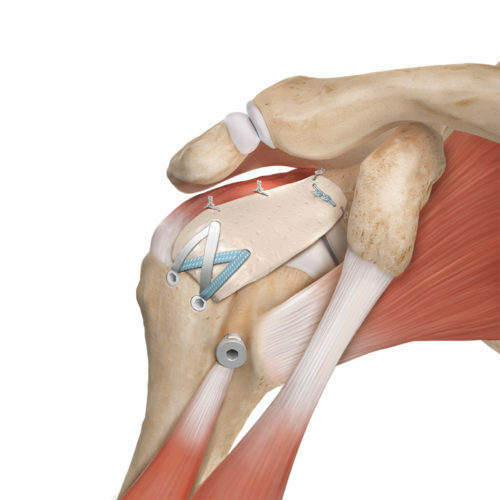 The technical aspects of rotator cuff repair involve placing small screws in the upper portion of the arm bone (humerus) where the rotator cuff tendon normally attaches. The screws are called suture anchors and are made from a special form of biodegradable plastic that the body will naturally absorb over time. Patients who suffer multiple shoulder dislocations are candidates for instability repair surgery. The essential structural injury that occurs with a shoulder dislocation is a disruption of the capsular ligaments and labrum that keep the ball and socket linked together. Instability repair involves reattaching the injured ligaments and in most cases the labrum to restore that stable linkage. 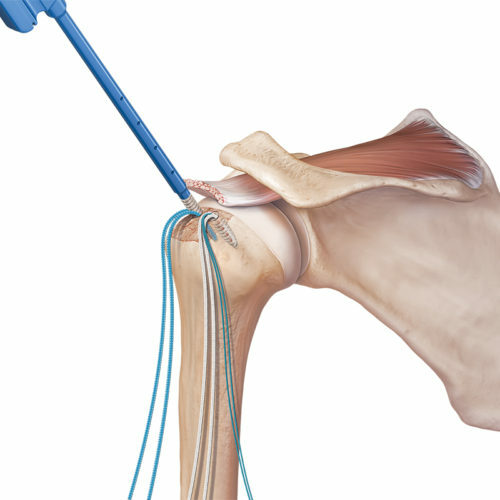 Instability repair is performed arthroscopically through small incisions with the aid of video technology. The technical aspects of instability repair involve placing small screws in the socket (glenoid) where the labrum normally attaches. The screws are called suture anchors and are made from a special form of biodegradable plastic that the body will naturally absorb over time. 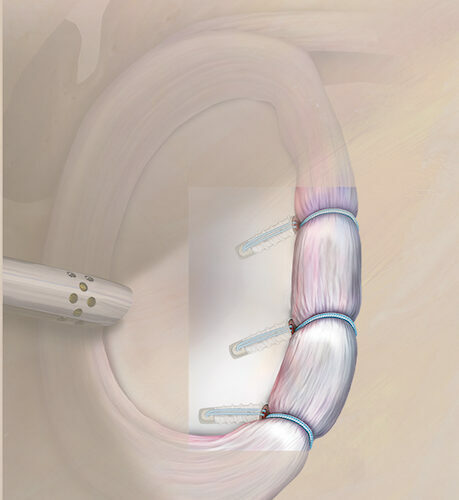 Superior capsule reconstruction (SCR) is a relatively novel technique to restore shoulder function and provide pain relief to patients who suffer from very large and often chronic and neglected rotator cuff tears. In these cases the rotator cuff damage is so extensive that inadequate rotator cuff tendon tissue remains to allow for a conventional rotator cuff repair. Patients who struggle with chronic symptoms related to subacromial impingement may be candidates for arthroscopic subacromial decompression. While most cases of impingement syndrome are largely related to poor coordination in the movement of the upper arm and shoulder blade and respond favorably to a dedicated physical therapy program, there are cases where the subacromial space is excessively tight due to the development of bone spurs or other factors in a patient’s anatomy. The joint where the end of the collar bone (clavicle) meets the corner of the shoulder blade (acromion) is known as the acromioclavicular (AC) joint. AC joint arthritis is extremely common in the general population but remarkably often leads to minimal pain or dysfunction. Patients who do suffer from severe and chronic pain related to AC joint arthritis may be candidates for surgical management.